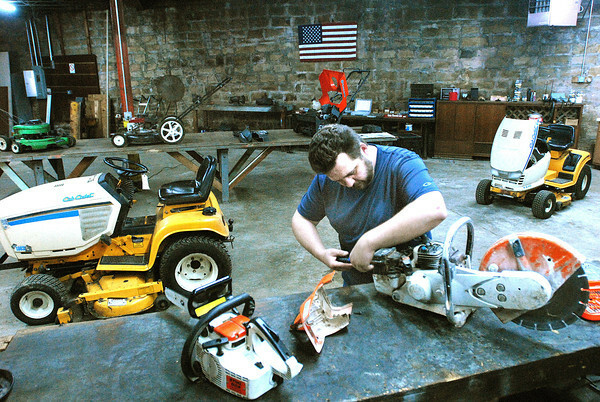 Jonathan Holsten works on a concrete saw at Mt. State Small Engine Repair. They will work on most any equipment and charge and hourly rate of $65 per hour.